Do you have Joplin tips? One of the many ways creativity shows in a person’s hands is in the shape of one’s finger tips. Look at Janice Joplin’s finger tips above, particularly on her ring fingers. Now look at a close up drawing of the shape of this finger tip in the drawing alongside. 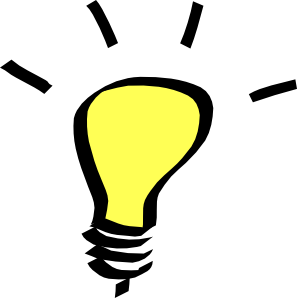 It’s called the spatulate tip (spoon shaped) but it also looks like the shape of a light bulb, which is the universal symbol for original ideas. And, a great way to remember what this shape means. Extreme, even rebellious, creativity and out of the box thinking. “The rules don’t apply to me” type thinking that was the hallmark of Janice’s music career. Two close cousins to the “Joplin type” are the “Mad Scientist” and the “Tinker”. These guys also have light-bulb shaped finger tips but the shape of palm itself is different – the Mad Scientist has a more Air shaped/mental or cerebral hand shape and the Tinker is more earthy. To study these types in detail join our series of hand shapes classes with Richard Unger. Every month in Earth School we discuss his latest work on decoding hand shape types. The course is packed with fascinating insights and essential material for pro hand analysts. 2 comments to Do you have Joplin tips?